Video of Hasselblad H6D: Another Big Price Drop, in Trouble or Part of the Plan? According to Hasselblad, now is the time to switch to medium format. Their stunning, flagship camera is now 42% off its original price tag of $25,995. Why is this happening now, and should you buy? The H6D is Hasselblad’s pride and joy, and now you can pick it up for $14,995 or €11,900. Bringing in modern features like a touch screen, CFast cards, and Wi-Fi. It will record video in 4K and comes in two flavors – 50 and 100 megapixels. Obviously, the H6D-50c is the 50-megapixel CMOS version. The bigger brother hasn’t seen a discount this week, still sitting at it’s $32,995 price tag. Usman Dawood, another Fstoppers writer, points out that with Fuji’s GFX medium format mirrorless camera in the market, it was about time Hasselblad started getting competitive. While I’m not on the inside of Hasselblad, I can tell you why they might be discounting one of their flagship cameras. First and foremost might be their new owner. DJI has acquired a majority stake in Hasselblad. You’d imagine that they want them to be as competitive as possible, and driving the price down on a popular camera would likely do just that. As The Verge noted, the exact same thing happened between another Swedish and Chinese partnership found in Volvo and Geely Motors. Volvo is doing better than it’s ever done, and we can only hope that the Hasselblad find the same success with DJI. Next, and probably the most obvious, is that Hasselblads just aren’t as practical as a DSLR workhorse or a snappy mirrorless camera. Usman found that the H6D-100c just didn’t fit well in his shoots as much as a full-frame DSLR would, and at a much lower price. With the Nikon D850 hot on the heels of just about every camera manufacturer, there’s a new expectation of what’s possible and what that price should be. That’s also not taking into consideration that Phase One has been offering up some serious competition, as you can see from our review of their XF camera, and Fuji’s GFX is a cheaper alternative to Hasselblad’s X1D mirrorless camera. They’re being beaten for price by two major competitors. You might imagine that the kind of people that buy the H6D aren’t overly interested in practicality – and while the emotional purchase is likely what Hasselblad is after, it’s surely easier to get there when the price is easier to swallow. Obviously, I'm glossing over where this camera fits a photographers needs, both in and out of the studio. Focusing on its issues ought to show us why they're changing their strategy. Of course not. Never mind that it’s still a $15,000 camera, you’ll need to pick up a handful of lenses if you don’t already own them. There’s no real way to use your Canon or Nikon glass on a sensor of this size, so expect to pay through the nose for some H-glass. A sharp 24mm f4.8 lens will set you back $7,000. It’s also worth noting that the baby brother to the H6D, the X1D, hasn’t come down in price. This is Hasselblad’s mirrorless effort and it’s simply stunning (I think). Nonetheless, expect to pay $9,000 for it. If this camera came down in price, to say $5,000, then it could be a tidy package for a portrait photographer. As it stands, you're probably better off getting the H6D-50c in the Hasselblad lineup. The price isn't yet reflected on B&H, but hopefully we'll be seeing it in the coming days. Who is this guy? This is totally a click bait video. Hasselblad has most likely drop it's price to compete with the PhaseOne XF IQ1 50mp... I mean why would you compare this to a Mirrorless MF. Plus, when people say that mirrorless is the future I personally disagree. I get a terrible headache when looking through an EVF. There are less and less people who get terrible headache when looking EVF. 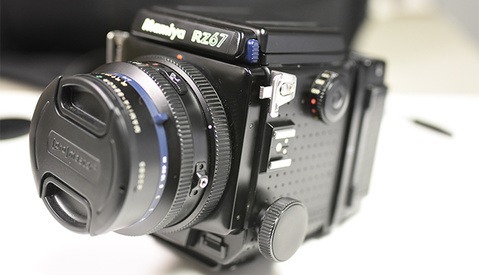 So, mirrorless is still the future. So the price went from 'an arm and a leg' to merely 'a swift punch to the gut' I'd love to play with one of these, but I can think of a lot of other things I could get for that much cash that would arguably improve my photography much more, or at least my ability to get places easier. Nothing ruins the value of a premium brand like major discounts and coupons. How can anyone investing so much money into a camera system have any faith in the resale value? 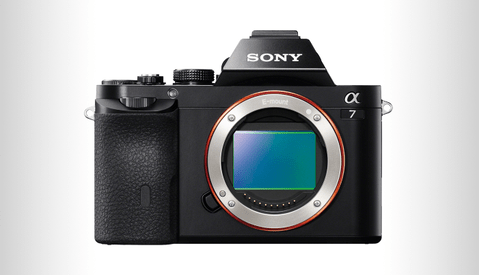 With the evolution of mirrorless systems, the price adjusting is inevitable, better start now. For me, DSLR is a system that tried to copy films cameras in every way and bring it into digital. 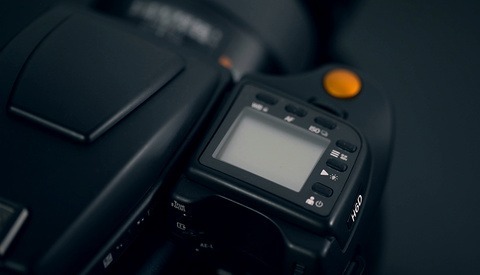 Mirrorless is the first real digital approach system. The future? it's years behind of what should be. A lot of time wasted in developing the clumsy DSLR system. But now is taken his place and is doing it real quick. Damn I could pay off my car AND credit cards for that much money. I could get 3/4 of it paid off with the cost of one lens. This is not that all surprising. What is more surprising is why it took them so long. The Hasselblad X1D, and CFV-50c both use the same sensor and are around the 10k mark. Likewise the Fuji GFX and Pentax 645z both use the same sensor and are even cheaper. Their flagship 100mp on the other hand will likely hold its 30k+ price tag a for awhile. The price reduced because because they stopped the generous trade in allowance for the 50c. Generous trade in allowance is still available for the 100c which is why they have not reduced the price of the 100c. Once the trade in allowance is dropped for the 100c they will also reduce that price. The Hasselblad DJI’s partnership, has improved our supply chain support and efficiency, resulting in an overall reduction in product delivery cost. This has allowed us to reduce prices on some of our products such as the H6D-50c. All, applies to a go-to-market strategy, to reach more photographers, and allow more photo enthusiast to have the Hasselblad experience. Cheers for the insight Eric!